What a location! Great condo next to the ski slopes at Hidden Valley Resort. 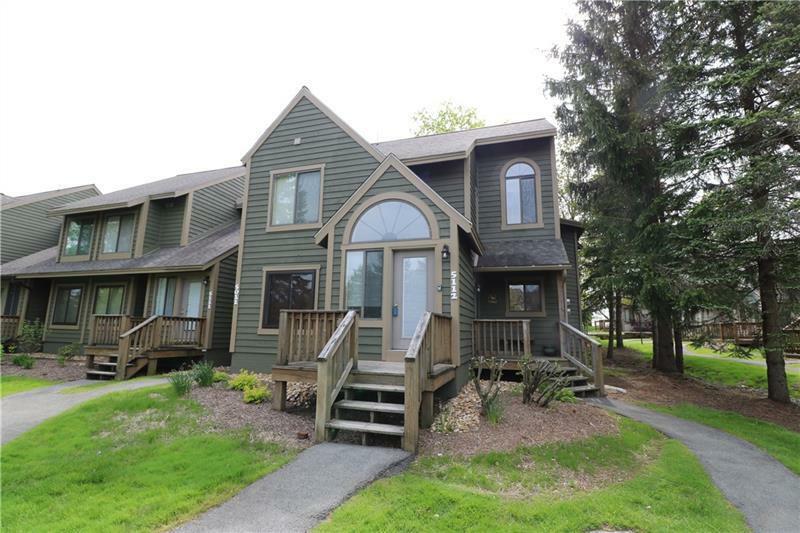 Located in the Summit, this 2 bedroom condo is an upper level, end unit and offers a bonus with the loft along with a bump out. Enter the condo and leave all your gear in the lower entry area that has been upgraded to prevent any water issues. Being an upper unit, you have high ceilings which offer the feel of a large space. You'll find everything you need for those weekend getaways, as it's being sold fully furnished. The fully equipped kitchen looks over the dining and living space. Stone fireplace has been upgraded and provides a touch of rustic charm. The master bedroom has a private bathroom. You could easily sleep 8 people in this condo! Windows have been replaced a few years ago. This condo is ready to call you vacation home and you still have time to get in before ski season. The HOA just updated the exterior of this condo. Take advantage of all that Hidden Valley has to offer you!